We landed in Belgrade without any expectations. We were flying from Montenegro to Copenhagen and the best value deal was with Air Serbia which meant a stop over in Belgrade. “Why not?”, we thought. “It’s only one night and who knows what we could find in our 20 hours in Belgrade?” The answer to that question was a long list of fun things to do in Belgrade; a whole lot of delicious food, historic sites and colourful characters. 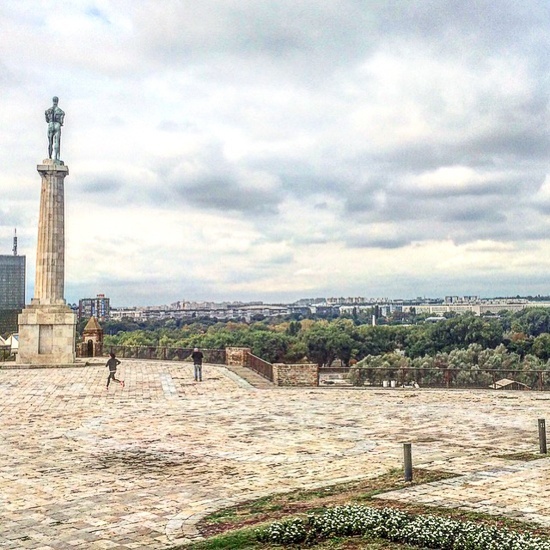 Belgrade is a city that has literally been crushed by conflict 40 times in its long history. One of Europe’s oldest cities, its people have seen more than most, as has the city itself. Now, the Serbian capital is developing its cultural heart by rejuvenating the forgotten waterfront to create spaces that foster creativity as well as a feeling of social responsibility. Once dismissed as a destination for the backpacker or intrepid traveller, Belgrade now offers great food, 5-star hotels and a growing events calendar, all at a very reasonable price compared to its European neighbours. A sunset flight to Belgrade, a hairy taxi ride to our apartment and a quick outfit change for the chillier weather and we hit a nearby restaurant just in time for a late dinner. It was the first of a food fest that continued the following day. In the morning, we explored the cobblestone streets, sat al fresco with the locals sipping on espresso duplis and we put our cameras through their paces. 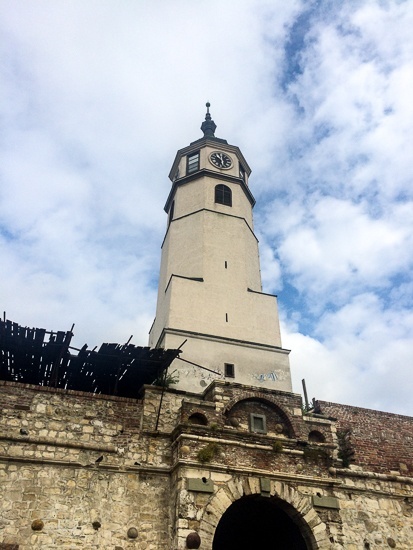 We were only in Belgrade for 20 hours so of course there is a lot more to see than the list below, but it should give you a healthy place to start when planning a stopover or a longer stay in Belgrade. A taxi from the airport should set you back about 20 euros (or 1800 RSD). Go to the counter directly ahead of you as you walk through the sliding doors from customs. It is very obviously signposted with yellow signs. Tell them where you’re going, they’ll tell you the price to travel to that zone and mark it on a taxi slip. Hand your slip to the driver and pay him the nominated amount on arrival. When grabbing taxis from then on, only choose those with marked by the the letters “TX” on the end of the number plate. You can either get out dinar or use euros. Generally speaking, you’ll lose a little on the conversion if you opt for euros. We used a mixture of both around the city and it wasn’t a problem. If you’re only in town for a night, pay to stay near the old town. It’s there you’ll want to wander around in the morning and you can do it all on foot. There is a tourist information centre at Knez Mihailova 5 (the pedestrian street) in the city centre. It is open daily. We booked an apartment through Feel Belgrade for 40 euros for the night. Milos, the company owner, met us promptly, the apartment was huge and very clean and he even drove us back to the airport the following day for 20 euros which was really convenient given we only had a short time to explore. There are many familiar names when it comes to finding accommodation in the city from Metropol Palace, Radisson Blu, Holiday Inn and a number of others. 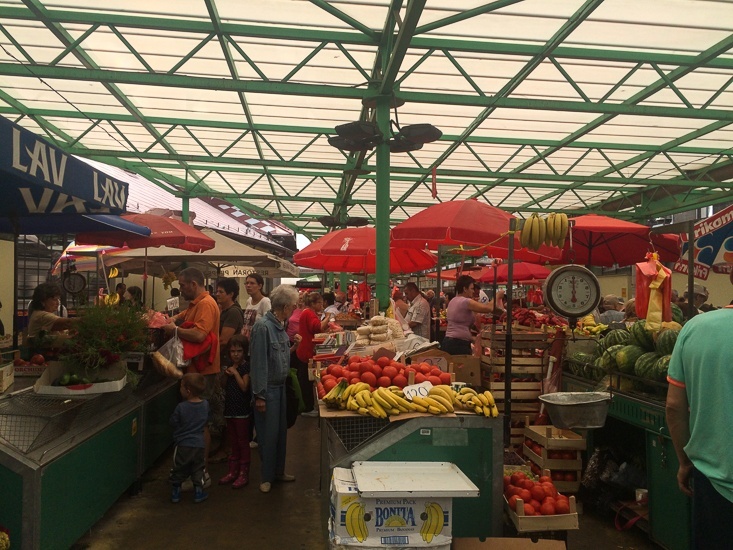 Wander around the Zeleni Venac market on the corner of Brankova Prizrenska and Kraljice Natalije streets. It’s arguably the most famous of the 32 green markets spread around the city. Buy up fresh fruit, vegetables, home made pastries, cakes, dried herbs or other fresh produce, or just sit and watch the locals go about their morning routine. It’s a busy market but like most farmers’ markets around the world, but they are also a lovely opportunity to mix with the locals. The market opens at 6am. Get there early to catch the morning rush. Walk Skadarlija (Skadarska Street) commonly considered the Bohemian heart of Belgrade. Traditional kafanas (bistros), line each side of the street and offer local beer, wine, Serbian food, live music and a lively atmosphere. Grab a table at Tre Sesira (Three Hats), a well known eating house that has been operating since 1864, serving politicians, celebrities and no doubt many tourists in that time. 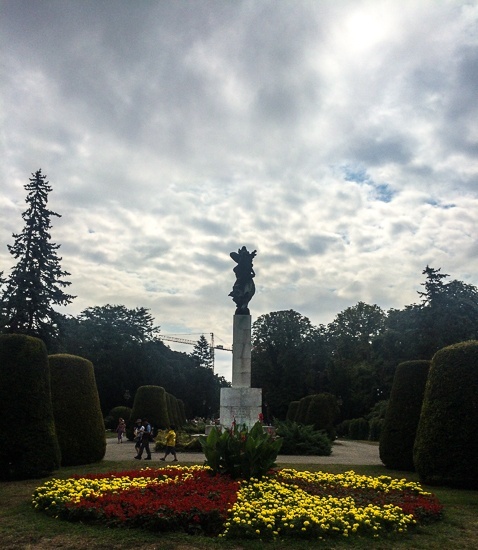 Jog around Kalemegdan, the Belgrade Fortress and the surrounding gardens. The fortress was built over the course of a number of centuries and has been at the centre of many battles due to its advantageous position overlooking the confluence of the Sava and the Danube rivers. 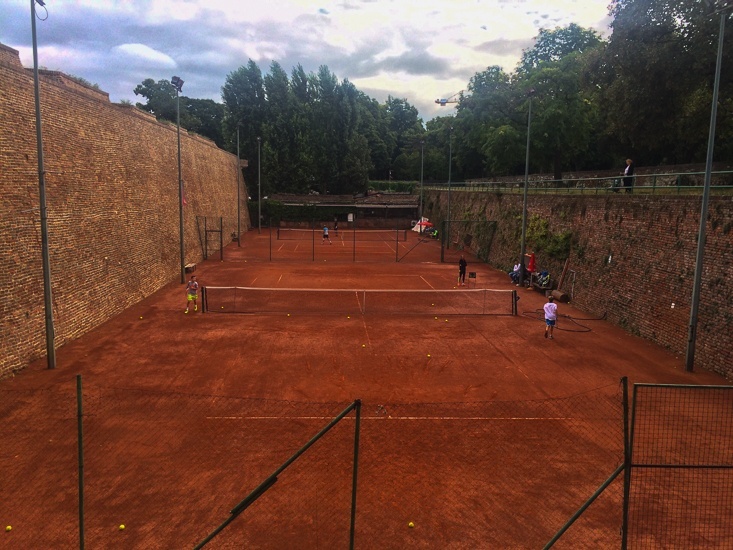 The fortress is divided into an Upper Town, Lower Town and surrounding gardens. 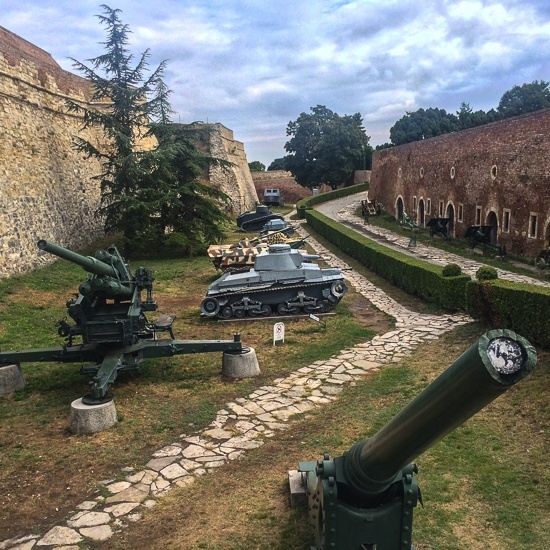 You can enter a number of the historic buildings such as the Clock Tower (prices here), brush up on your history at the Military Museum located at the south east entrance of the fortress (Entry is: Adult 150.00 RSD/ Child 70 RSD), enjoy a coffee at one of the cafes on or simply relax in the well manicured gardens. A permanent exhibition of war photographs is set up in the Lower Town which is also very interesting and it’s a great place to snap some photos of the Sava too. Visit the Saint Sava Temple, the largest Orthodox church in the Balkans. Get a little retail therapy on the pedestrian strip, Knez Mihailova in the city centre. 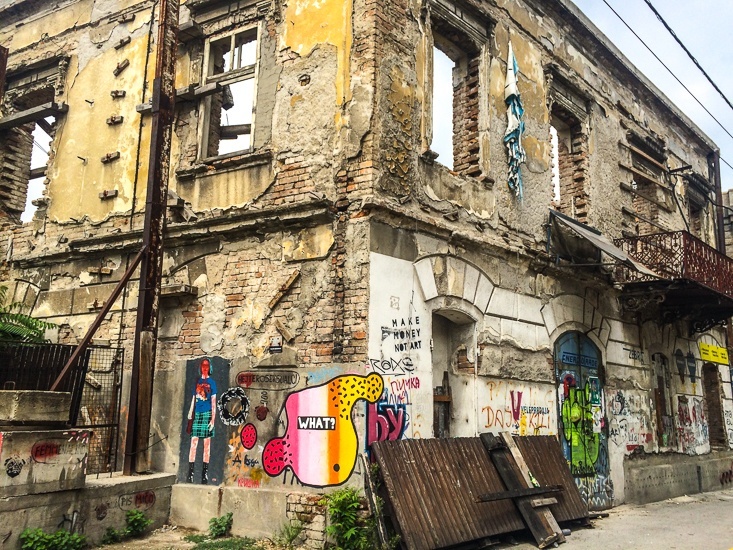 Explore the streets of the Savamala neighbourhood, Belgrade’s new creative hub. Once an abandoned area, full of rundown buildings, it is gradually being transformed into a zone that fosters design innovation, creativity and brings with it a new, trendy crowd. You’ll find KC Grad (a centre for culture and debate where exhibitions, workshops and other creative endeavours are held), peruse art galleries, marvel at the Spanish House (originally a Customs House, now a space for cultural events) and other historically significant buildings like Geozavod, considered one of the most beautiful buildings in the capital. Dance the night away on Belgrade’s famous barge nightclubs and bars called Splavovi that float on the river Sava. Step it up a notch by hiring a Nightclub Service. You’ll get bottle service, skip nightclub lines and a party host is on duty to make sure your night runs smoothly. The stylishly decorated cafe offers a good people watching spot with organic coffee, gluten free breakfast options (corn flakes, granola), toast with jam, smoothies and juices. 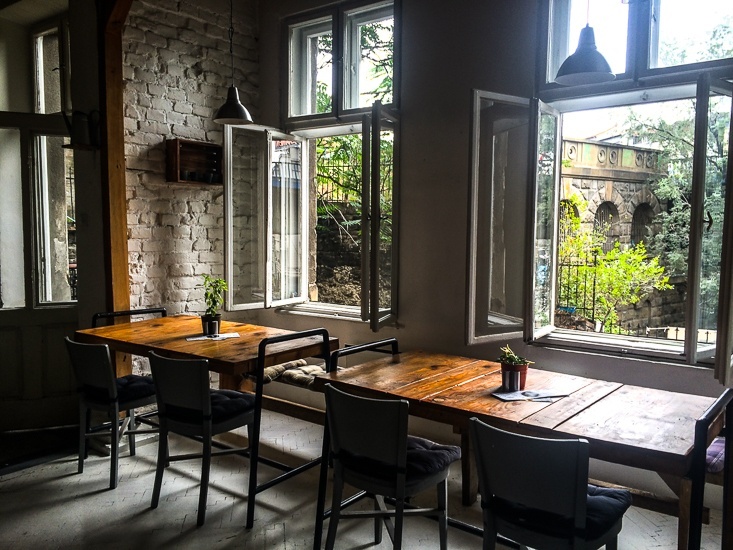 A big restaurant, warmed by wooden furniture and shelves full of wine, preserved food, locally made jams and the like, Manufaktura specialises in Balkan cuisine. It’s open for breakfast, lunch, dinner and wine. We cosied up in a window seat for breakfast. Choose from home made porridge, warm polenta, freshly baked bread or eggs for a healthy start. An omelette with sausage and salad on the side will only set you back about $3 and you can choose from salads and delicious cold cuts of meat from the deli to to add to your plate. We loved the beef prosciutto too. We came upon gnezdo by surprise. After stopping to snap some photos of the amazing old buildings in Savamala that houses the restaurant, we climb the stairs to find out more about it. Don’t be put off by the building itself which in some respects look derelict on the inside, once you reach gnezdo, a beautiful white, light and airy room opens up for you. Stop in for an organic coffee or vegan smoothie, or chia pudding or stay for something more substantial from an organic rib eye or one of their delicious plant based creations. We were pleasantly surprised by the standard of the food at Via Del Gusto, given it is located in the heart of the busy old town tourist area. We joined the Saturday lunch rush, sitting in the cosy window seat just inside the front door (the perfect people watching position). We ordered the turkey with grilled zucchini and prosciutto and the calamari with vegetables. Although the service was a little slow (presumably because it was the weekend), the food was great and I would recommend it if you’re looking for anything from wood fired pizzas, home made ice cream or signature Serbian dishes. Calamari and vegetables at Via Del Gusto Restaurant, Belgrade. 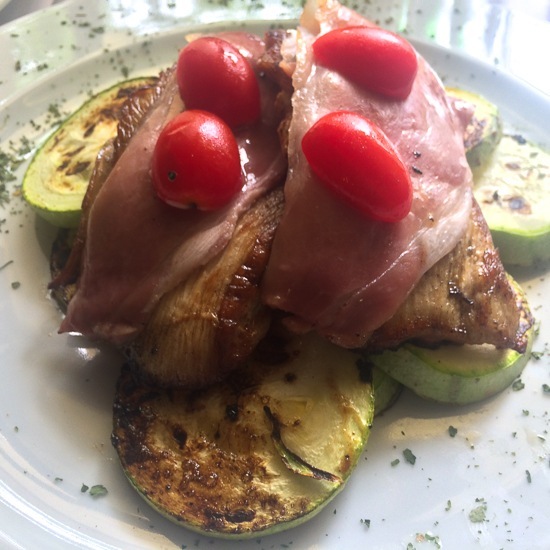 Grilled Turkey Breast with Prosciutto at Via Del Gusto Restaurant, Belgrade. 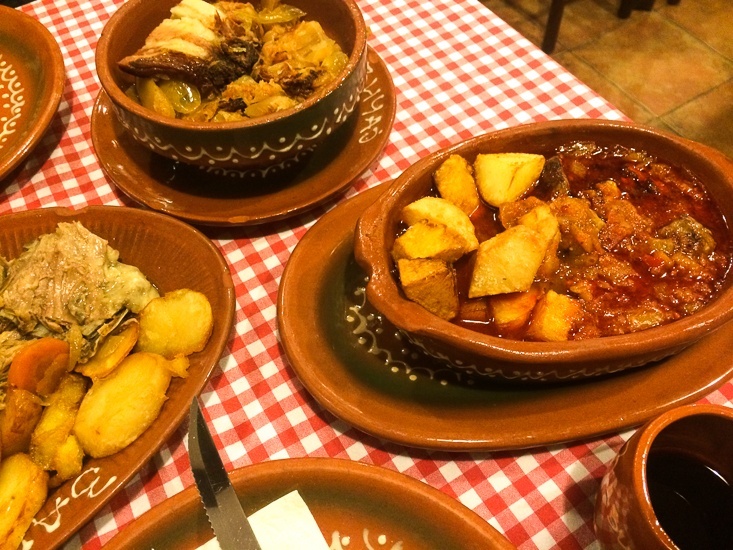 Zavicaj Restaurant serves up home style comfort food just like Mama used to make (if she was Serbian). Cosy tables with red and white tablecloths, ceramic wine jugs and beer mugs and friendly staff set a warm, casual vibe. Expect slow cooked meats falling off the bone, served in rich spicy sauce, sauerkraut with bacon, thick veal soup, grilled fish and meats, hot and cold starters including home made cheese and rich, honey laden desserts. Serbian home style fare at Zavicaj Restaurant, Belgrade.